For the past decade martial arts schools have been offering a top-notch product that has moved many kids from the sports field to the martial arts school. Today more kids are enrolled in martial arts than any other sport offered to children. By offering a service unlike any other, martial arts schools have been able to make drastic leaps in enrollment. Children enrolling in martial arts schools are taught by professionals who are stressing concentration, self-control, mental and memory skills that address the short attention spans of many children. These abilities are endearing martial arts schools to teachers and health care professionals worldwide. It used to be that some elementary schools frowned on students who were learning martial arts, believing they were teaching violence. King Tiger Martial Arts teaches the concept that nonviolence is the first and best defense. According to author and founder of Martial Arts for Peace, Dr. Terrence Webster-Doyle, “The spirit of genuine martial arts is the opposite of aggression.” Our students are being taught how their words, actions and body language can be their best defense and those are important martial arts skills that cross into every aspect of the students’ lives. The physical skills are secondary and do much to promote health, physical fitness and instill confidence in the way the student carries him or herself. 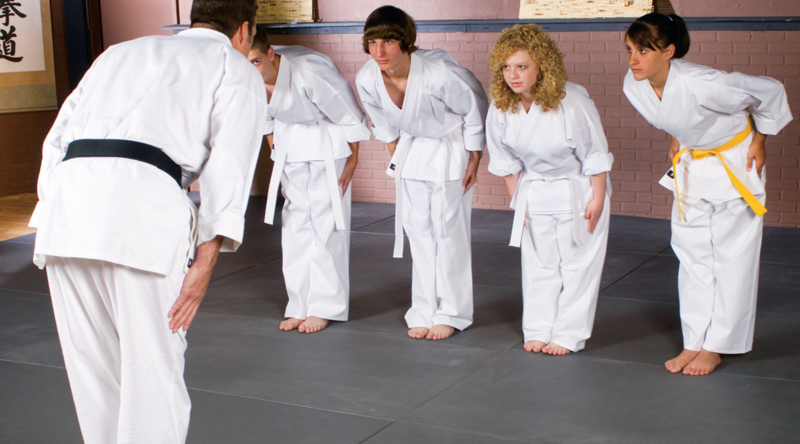 Students, who might otherwise not participate in team sports, may succeed in martial arts because of the low teacher/student ratio our school offers. Our martial arts instructors are not volunteers that have some skill in the sport, and they did not do this overnight. We employ highly trained professional men and women who have trained for years to earn their rank in order to teach others their art. In addition to the classes our instructors teach, they still train and practice their art. Unlike some sports, martial arts requires intense repetition to master some of the skills in order to progress. However, repetition is never fun. Just like schoolteachers and parents, instructors have to build excitement and disguise repetition in a variety of drills that require students to concentrate and memorize the motion. Since our instructors have been through this when they were a student, they are better able to understand the frustration or boredom associated with repetition. They also have experienced the hard work that pays off and the elation that comes when something difficult is mastered. Childhood is a time for kids to explore many different activities and have fun while socializing. Martial arts is one activity that combines many skills that can carry over into adulthood including the sport itself. There is no age when the instructor will say, “Okay, you’re too old to join us in class anymore.” So if you know of a child, or adult for that matter, who is looking to add something interesting and fun to his or her life, tell them to give us a call today at 757-410-4999 to get started today! Join the fun at King Tiger Martial Arts where you’ll experience expert training in a fun, positive and supportive environment suitable for everyone in your family. Or simply fill out the box in the upper right corner and take advantage of our FREE 30 Day Trial Membership!